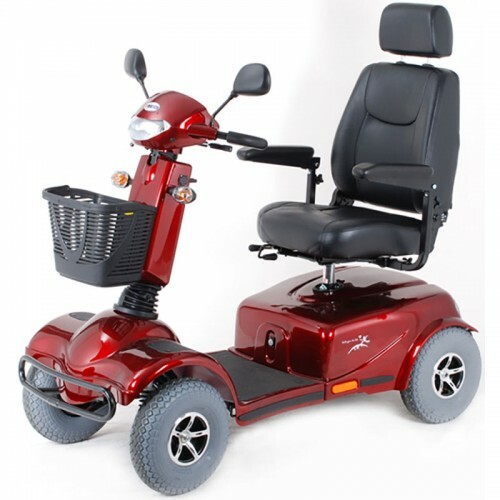 Fully adjustable suspension system that delivers a smooth and comfortable ride. Built in half speed switch which operates automatically when turning to provide extra safety. Unique 4 PT and large controller delivering much more power for climbing steep driveways and hills. 80 amp a/h batteries w/ 1 years warrantee.